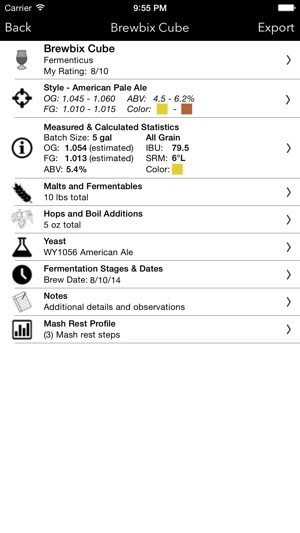 Fermenticus Brew Log is a logbook, calculator, and recipe formulator for homebrewers and small craft brewers alike. • Optimized for both iPhone & iPad. • Clean design - You can quickly input your ingredients and measurements, automatically perform important calculations, and concentrate on the brewing instead of the software! • Suitable for any level of expertise - Brew Log will handle all your extract, steeped grain, partial mash, or all-grain recipes. 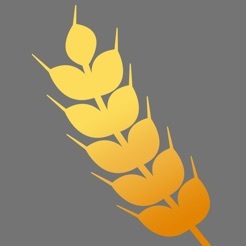 • Ingredients database - Add your own ingredients or select from lists of common malts, extracts, adjuncts, hops, and commercially available yeasts. 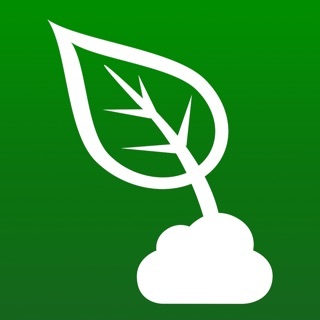 • Save your recipes - Recipes are stored on your device for quick access at any time. You can also export your recipes via email in a convenient table format that can be pasted into any spreadsheet or printed out for brew day reference. • Organize your recipes - Sort your recipes with logbooks for organizing and archiving. 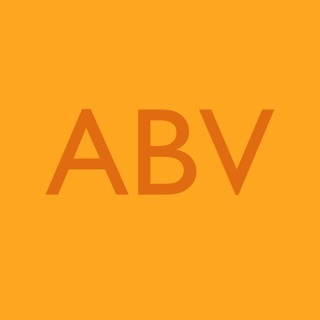 • As you add grains or hops Brew Log instantly updates estimated gravity, color, and bitterness. Great for building recipes on the go. 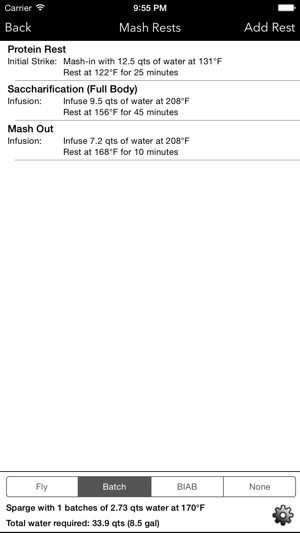 • Mash Rest & Sparge calculations for simple to complex mashes. Calculates volumes and temperatures for your strike water, infusions, and decoctions. • Built in calculators to determine original and final gravity, alcohol (ABV), bitterness (IBU), color (SRM), efficiency, attenuation, and more. • Choose a standard beer style or make up your own. • Designed to be an efficient brewing companion for quick logging during your brew day (“Do more with fewer clicks”). • US & Metric simultaneously supported. You can combine both US and metric units in your malt bill or hop bill. Recipes can also be converted from US to Metric and vice versa. • Unique date handling, so you can add dates with information about the date. Useful for logging information during fermentation or bottling! 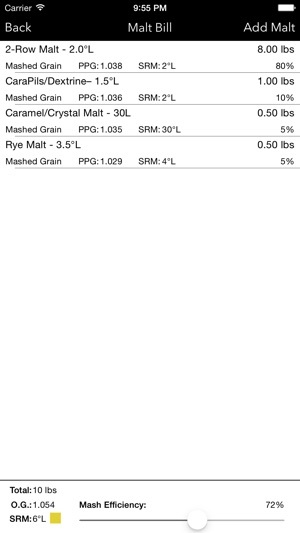 • Once you make your own measurement Brew Log will let you know your actual brew-house efficiency (for all-grain) and actual yeast attenuation. • Save your default settings such as typical batch size and if you brew extract/all-grain/steeped. Of course, this information can always be set on a recipe by recipe basis. Brew Log has a limitation on the number of recipes you can store on your device. All users will get 5 empty recipe slots. There is no other limitation on any functions. The free slots are the exact same as paid recipe slots. Brew Log's In-App Purchases are tied to your iTunes account and are permanent. Your purchases on one device will be shared on all your devices. You can refresh to restore your purchases at any time. Upgrades of +10, +25, and unlimited slots are available for less than a beer at the pub. If you reach your maximum recipe limit, you will have to either delete existing recipes (I recommend exporting via Email first!) or purchase an upgrade before adding a new recipe or cloning an existing recipe. As always, I highly encourage you to email any bugs, suggestions, or comments you may have! 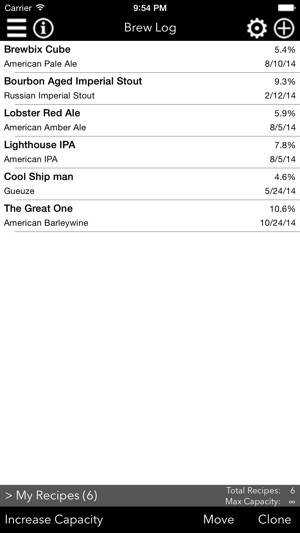 Lastly, if you are enjoying Brew Log, please consider supporting it by leaving a positive review on the App Store. Every rating and review is a big help! Updated with the new BCJP 2015 style guidelines, and now featuring Mosaic hops (along with a bunch of others too!). Fixed some minor text display issues and funky iPad landscape text entry issues on the stats and notes pages. Although you can only keep 5 beers in the free version, you have the option to export via email or printing to keep 5 of your latest brews. App contains everything you need to brew from start to finish. Input grain bill, hops and yeast and it will determine your output including water needed to brew to hit your 5gal target. 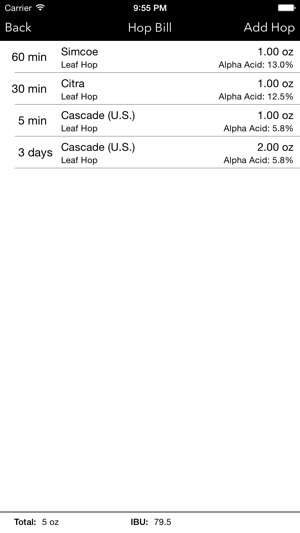 By far the best free app for brewing. 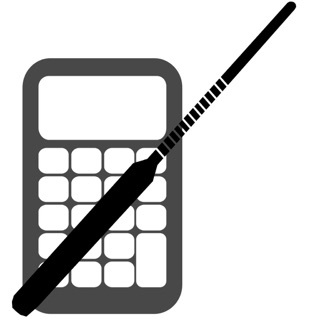 I've tried a few different calculators over the years, but I always end up back at this one. Very clean format, great libraries, easy to use, and customizable enough for the more advanced home brewers. I wish it had a print function though. Come brew day, it gets pretty messy and I do a lot of scribbling with pencil and paper.